While on the surface I know it’s not necessary to pigeon-hole myself, we do have a basic human need to feel like we belong somewhere, be surrounded by people who are likeminded, and ultimately, who get us. I’ve been getting out and pushing myself lately, trying out some group riding in various guises, and I’m struggling to figure out where I fit in. It seems like whatever I try, there are always aspects I like, some I don’t like, and nothing that strikes me with a moment of ‘this is where I belong’. I would also argue that all these types of cycling come with various motivations behind them. My problem at the moment is that by not really fitting in anywhere, I’m struggling to motivate myself. On Wednesday this week I decided to get out in a group road ride, with Audax Club Bristol. First things first, they all seemed like a great bunch and I totally get the appeal of their rides. However what was promised as a ‘flat 60k social ride’ was so incredibly fast that after about 20k it was just me with a purple face, and two other riders who very kindly held back to make sure I didn’t get left behind and lost forever. In terms of motivation, these kinds of rides or races are for people who like going fast, and who like competing. Maybe they’re driven by a need to improve their speed, beat their previous time records, and ultimately win races. Or maybe it’s just about riding as quickly as they can. I like riding fast, but I’m not fast enough for this kind of ride. I’m not sure I want to be, either. I do enjoy getting into a high gear and zooming along an open tarmac road through the middle of the countryside, but I also have a limit. When I reach the point of my bike going so fast that I can’t keep up with it (as Boomer put it so eloquently), that’s when the fear sets in and I stop enjoying the ride. I like riding on roads, but I don’t own a road bike (and I’m not planning to). So while I’m proud of myself for giving this a go, and completing the ride, I won’t be returning in a hurry. I didn’t belong here. Well, the less said about this, the better. I did enjoy it. We all know what happened last time I tried. Full disclosure though, I am tempted to try again. I’d like to think that when it comes to controlling the bike, and getting out the saddle, I do have quite good intuition. I know how to move my body around to best tackle a mixed terrain, and I enjoy trundling along on a big mountain bike with front suspension. However I also find it terrifying, for obvious reasons. Perhaps I could belong here one day, if I keep practising and building up my confidence. But again, I don’t own a mountain bike, and I’m not planning to. I have the option of hiring one, so there’s potential here. Okay, here’s where the bike stops being the excuse. I own a cyclocross bike, and I freaking love it. I love that it’s lighter than my previous hybrid, I love that it has a racier positioning, I love that it has disc brakes and I love that it takes fatter, knobbly tyres. I’ve never tried cyclocross, but I’ve been looking into it recently and it does sound like a lot of fun. What unnerves me is that it requires a lot of techniques that I feel incapable of learning, like the fast mounting and dismounting. Also, I’m not sure I have the right motivations to get into cyclocross. Again, it’s a type of racing and that need to win just doesn’t drive me that much. But perhaps there’s potential here. I need to find out if there’s a group in Bristol who do introductory sessions. Now, I’ve included this as a category because it comes with different motivations that match my own. Covering long distances (check) at a comfortable pace (check), exploring, discovering, adventuring. Check, check, check. So perhaps this is my bag, but this isn’t really something I can do on a regular basis. Perhaps one day I’ll head off on a round-the-world adventure and then I will officially be a ‘tourer’ but in terms of getting out on the bike weekly, this isn’t helping me to find a sense of belonging. So, yes. I do kind of belong here. I commute by bike, and I occasionally pootle around town or along the bike path. But this can’t be it. I can’t stop here. I guess I included this category to force a sense of belonging on myself, but this isn’t where I want to be. I just need to figure out where it is I do want to go. …Where does that put me exactly? Okay. Your cross bike, it is a road bike. With fat tires on it and a smaller crankset. Simple as that. Put thinner tires on it and you have a road bike with better brakes. Everything you list fits with road cycling, you just have to work up to the pace. The drafting bit will help a lot too, but that comes later as you grow comfortable riding with others. Also, there are faster and slower groups. Find a slower group if the one you rode with is too fast. Whatever you choose, I hope you have fun. That’s the best part of cycling. Oh, and our easy days are something like 30 km/h. We just like going fast. You get used to it. Our fast days the average bumps to 35 km/h. Yeah I think you might be onto something there! Second the above. A couple of minor adjustments and you can do any of the sportives of which there appears to be no shortage. Everything in cycling seems to need labelling these days, so in your ‘crosser you also have a ‘gravel bike’ which you could easily do forest fire roads on and also events like the Dirty Riever in Northumberland. I still think starting your own club is the future. Starting your own club has its advantages (and hassles), but with the title of your blog you’ve got a great group name and an awesome base for cycling jerseys. As for finding a club to ride with, it takes time. You will find the right people to cycle with. I am sure. You know I had a half-jokey conversation with a bunch of women cyclists about starting a girl gang – I’d feel so vain suggesting Rebel Girl Riders as a name… But it does sound good…! Also Breeze rides for women. And also the Le Sportive rides (some are for women) from MudDock. A lot of clubs have a development ride, it is a lot slower paced and a good way to work your speed up. You also shouldn’t get left behind. Cross is not about winning, it is about being weird but it may be different down your neck of the woods from up here. It’s also a good time to learn just now as you can get out and about on dry rails and learn all the skills by accident. The dismounting and remounting, do it slow, do it on flat pedals and you will slowly find the speed increases. It is also better to not think about it, it is easier that way and quite natural. You could also just be a cyclist. I only learnt to ride a bike 2years ago at the age of 42 so your fears and feelings of failure are very real to me. On reading this article I noticed that you don’t include “having fun” in your list of motivators? Surely this should be the most important one? You’re so right, I don’t know how I forgot that, it’s the most important one! Yup! It’s definitely my main motivator! As a newby, some things can be mentally and physically not fun on the bike as I try to do new things. This is when my motivation flops. 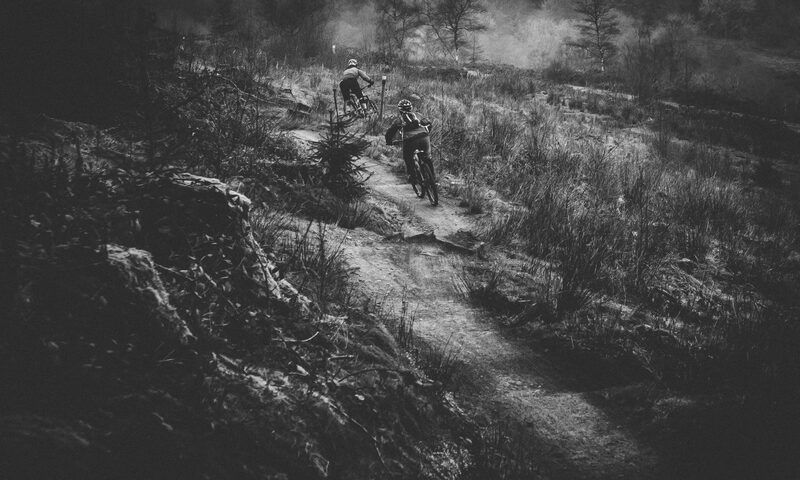 When this happens I change tactic and go ride something easy, bringing the fun back into my riding and tackle the harder things later down the line.